CACHING THROUGH THE SNOW IMAGES THROUGH THE YEARS! 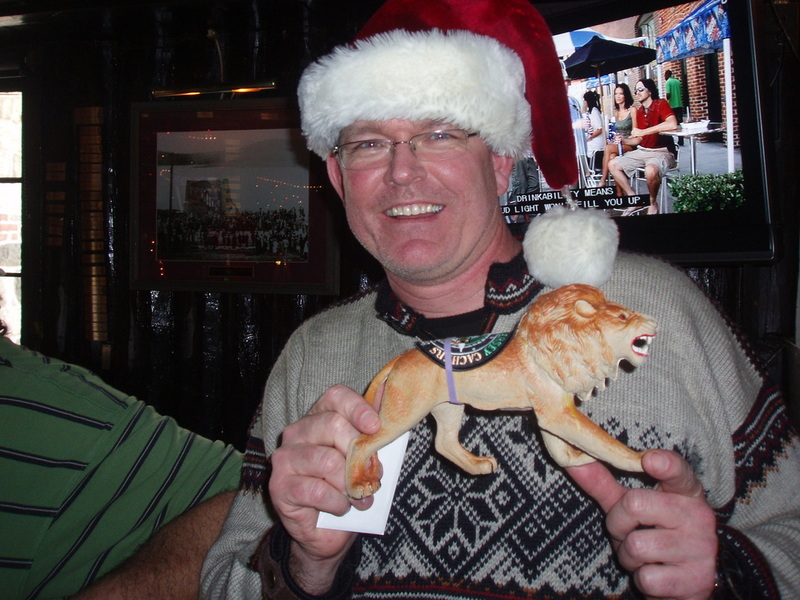 Back in 2004 when Team Rampant Lion (TRL) hosted the "First" Caching Through the Snow event, who knew is would grow into NNJC's premier December event! After Kevin (TRL) hosted his 5th event in 2008, a transfer too him and his family to California. NNJC stepped in and has carried on the CTTS event tradition every year which has grown as we now reach it's 10th year! NOTICE: WE ARE PRODUCING THE AWESOME 3D CTTS #10 TRACKABLE GEOCOIN BELOW. THE RAMPANT LION IS TRL'S AVATAR AS WELL AS SHERIDAN'S RESTAURANT LOGO. THE OTHER SIDE REPRESENTS KITTATINNY'S LAKE AEROFLEX. PLEASE EMAIL OLD NAVY TODAY THROUGH THE "CONTACT US", TO RESERVE YOUR GEOCOIN. DON'T LOOSE YOUR CHANCE TO OWN ONE OF THESE COLLECTABLE COINS!